The 3rd international Extractive Industries Transparency Initiative Conference opened October 16, 2006 in Oslo, Norway. 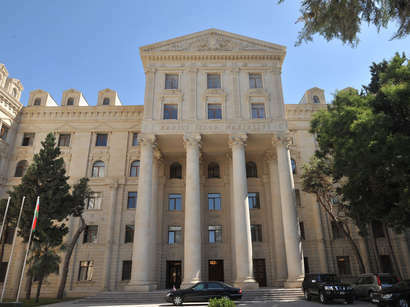 Presently, Azerbaijan, prepares the fourth and fifth report on EITI. Azerbaijan has been elected as the member of the EITI Board, Trend reports with reference to the statement of the State Oil Company of Azerbaijan. According to the decision of the conference, Azerbaijan is the only country that prepares the reports in accordance with the international standards and demonstrates a leading role amongst the world countries. According to the decision made at the conference, the EITI Board will consist of 5 representatives of implementing countries Azerbaijan, Guinea, Gabon, Kyrgyzstan and Nigeria and 3 supporting countries - the US, United Kingdom and Germany. Moreover, civil society organizations, extractive industry companies and an investment companies will also be the members of the Board. In his address about implementation of EITI in Azerbaijan Shahmar Movsumov, the Executive Director of the State Oil Fund of the Republic of Azerbaijan asserted that Azerbaijani government is ready to share its expertise with other countries. Addressing the conference, other participants hailed Azerbaijan's success on implementation of EITI.